Who doesn’t want to look perfect? And if you don’t have it naturally, take the help of your doctor. Going under the knife was once considered a taboo. There was always a hush-hush talk about it. But things have changed and so has the mindset, people are now more comfortable in accepting their flaws and making the necessary correction. Cosmetic surgery is a voluntary medical procedure that is performed on usual body parts with the sole purpose of correction or removing any signs of aging. Cosmetic or aesthetic surgery is a slight alteration of a body part which one is unhappy about. It doesn’t necessarily involve plastic surgery as it could also be done through laser or non surgical. Some popular kinds of cosmetic surgery include Blepharoplasty, rhinoplasty, and rhytidoplasty. Cosmetic surgery is one of the few types of medical care for which patients are ready to spend whatever amount from their pockets. The exorbitant fees for the surgery are willingly paid by the patients. And the country that tops the highest use of this surgery is America. 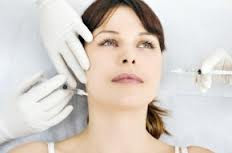 The U.S. market for cosmetic surgery, facial aesthetics and medical laser devices were valued over $3 billion in 2012, an increase of almost 10% from the previous year. This segment of medical care was unaffected during an economic slowdown. A market research survey estimated that, the US cosmetic surgery market will hit a value of US$17.57 billion by 2015. The desire to look good gives minimum contribution for the growth of cosmetic industry. There are other factors that are driving and continuing to fuel the growth of the market. • The growth in the market is driven by the social acceptance of the surgeries. Earlier it was the celebrities who would get it done. But now even teenagers and men have joined the bandwagon. • The growth of the augmentation and reconstructive implant market. • Mainstream media influence is also responsible for accelerating the growth. It has changed the perception of appearance and beauty on other factors like aging population and obesity. • Availability of new products and procedures. • The high degree of competition at workplace. • Innovations of injectable fillers which recover quickly and are easy on the pocket. • Direct marketing and advertising campaigns causing awareness amongst people. The cosmetic surgery is ‘The In thing’ right now. From teenagers, men and celebrities everyone’s lining the doctor’s clinic for image correction and beautification.